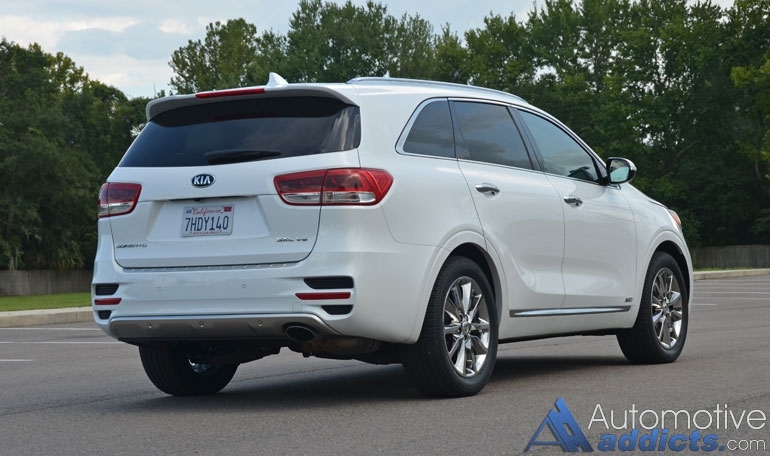 Like a sleeping giant recently awakened by the sound of thunder, Kia has made its presence well known in America where others are keeping a sharp eye on the Korean brand’s next moves. 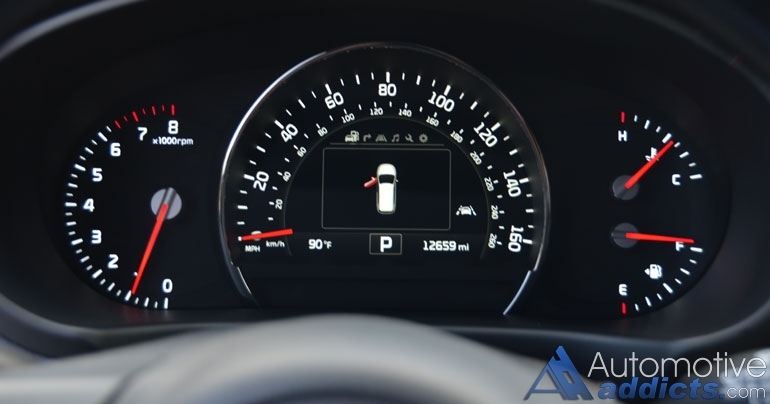 With the introduction of head-turning designs, an industry leading new-vehicle warranty, and viable mainstream competitors in several popular segments, Kia has set a steady hand to run beside the pacesetters in the automotive industry. 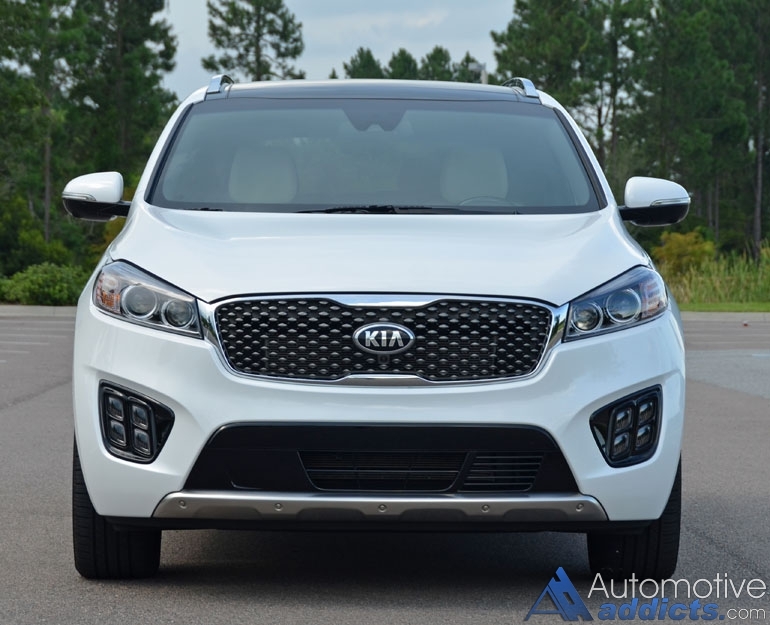 One of the latest redesigned models, the all-new for 2016 Sorento crossover, continues Kia’s insurgence among its competition that stretches to many different segments. Fresh off of the heals of the outgoing second generation Sorento, the new third generation 2016 model captivates potential consumers in more ways than one. 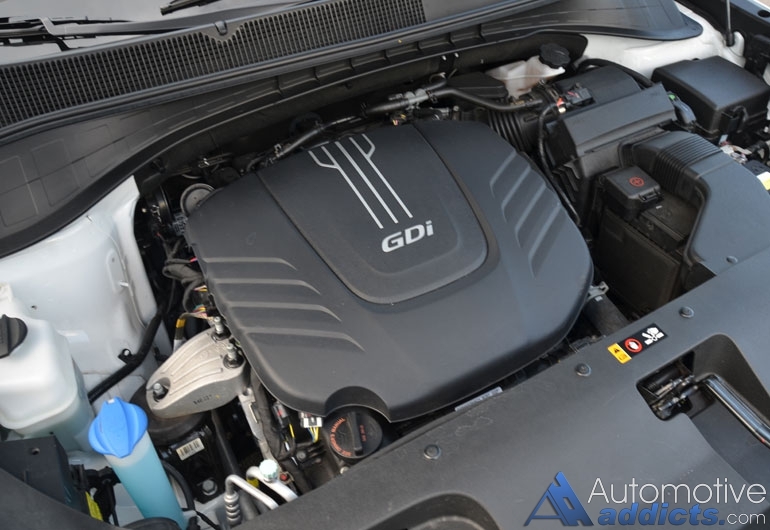 Powered by a familiar 290 horsepower and 252 lb-ft of torque 3.3-liter V6 engine that the brand, alongside its Hyundai counterpart, has been successful in equipping crossovers with for many years, is now considered a tried and true powerplant. Mated to a 6-speed automatic transmission and a sophisticated all-wheel-drive system in my SXL (Limited) AWD-trimmed Sorento V6 test vehicle, the formula remains simple. That simple formula translates into a compliant ride with no surprises and straightforward expectations out of the new Sorento. 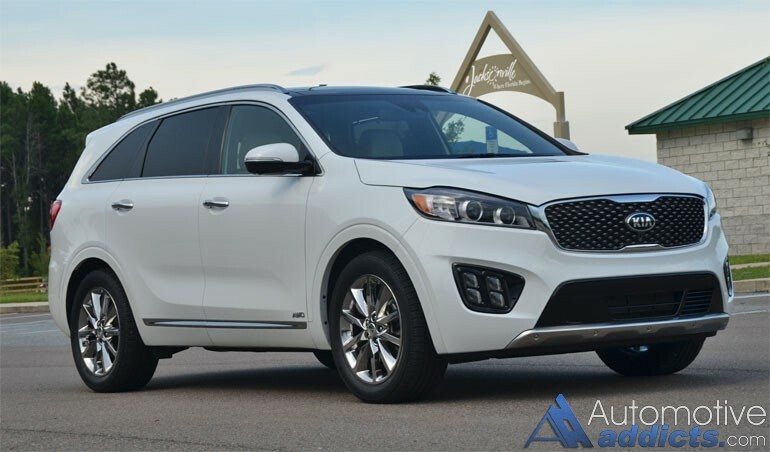 The 2016 Kia Sorento plays along to the tune for what growing and large American families desire in a versatile package. 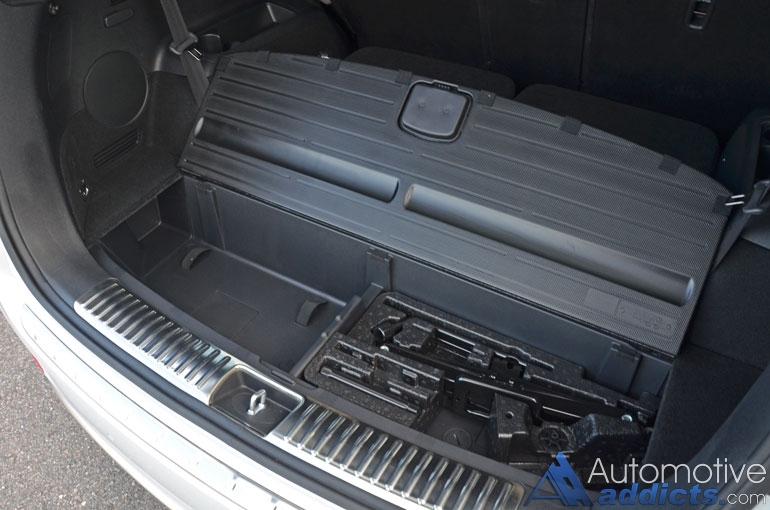 The beefy V6 engine combined with the all-wheel-drive system that has a locking center differential gets the job done without any apparent hiccups. Even so, getting up to 60 mph from a start takes a little over 7 seconds while the handling abilities are surprisingly decent for a three-row crossover. The suspension is well dampened to the point to keep unwanted body rebounds in check going over bumps or road imperfections. 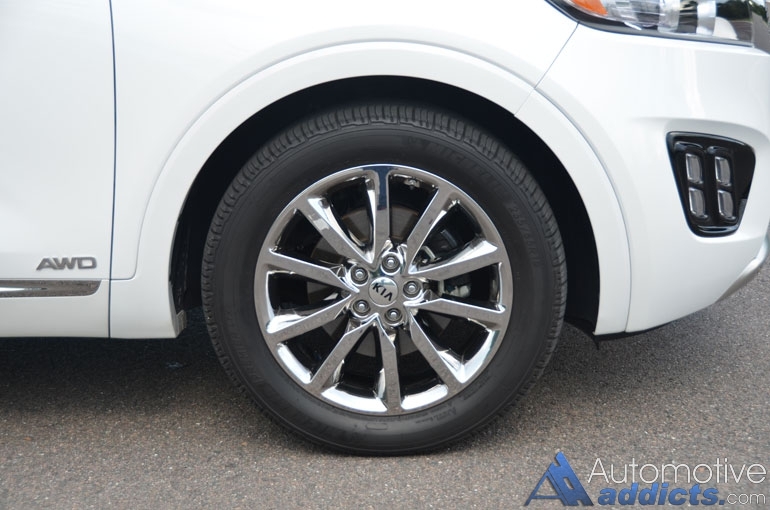 The large 19-inch wheels and meaty all-season tires do their job to keep the Sorento planted and relatively capable for a large crossover. Fuel consumption estimates for the Sorento SXL AWD are somewhat dismal on paper with 17 mpg city, 23 mpg highway, and 19 mpg combined. To the benefit of the new Sorento SXL AWD 7-passenger, I am at bay to say those figures are rather conservative as I saw much better results, getting nearly 26 mpg on the highway and a consistent 18.7 mpg around town in stop-and-go traffic. 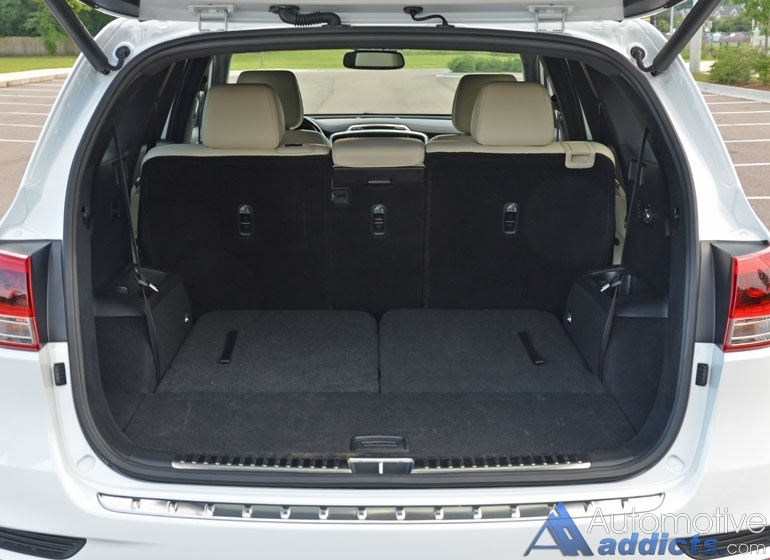 The lower trimmed front-wheel-drive 5-passenger LX trim with the base 2.4-liter engine and 185 horsepower is able to muster out 21 mpg city and 29 mpg highway while the middle of the line 5-passenger EX or SXL (Limited) 2.0-liter turbocharged 4-cylinder front-wheel-drive Sorento gets an EPA estimated 20 mpg city and 27 mpg highway. 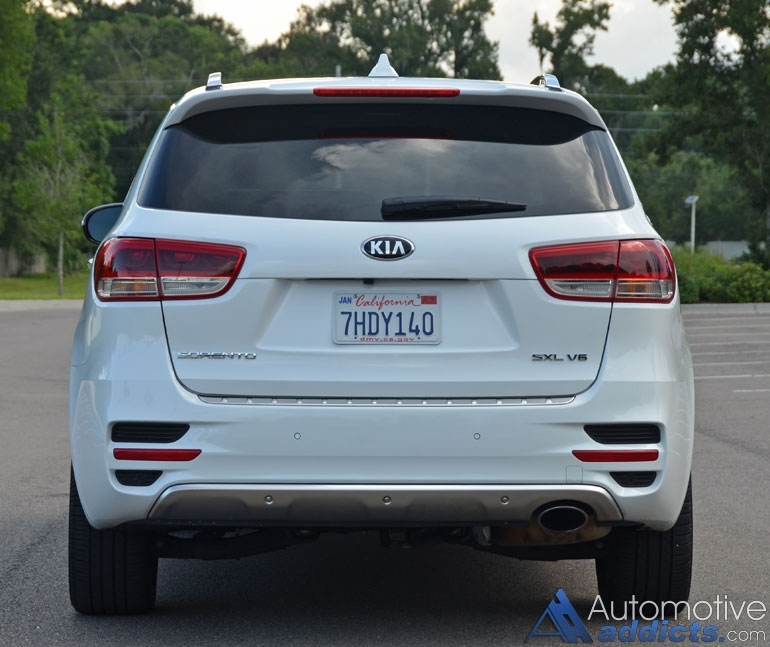 With the crossover utility segment growing by leaps and bounds, it is no wonder that vehicles like the 2016 Kia Sorento are looked upon to replace midsized to large sedans and some minivans, which were once thought as the only affordable option for a growing family or the desire to seat nearly 7. 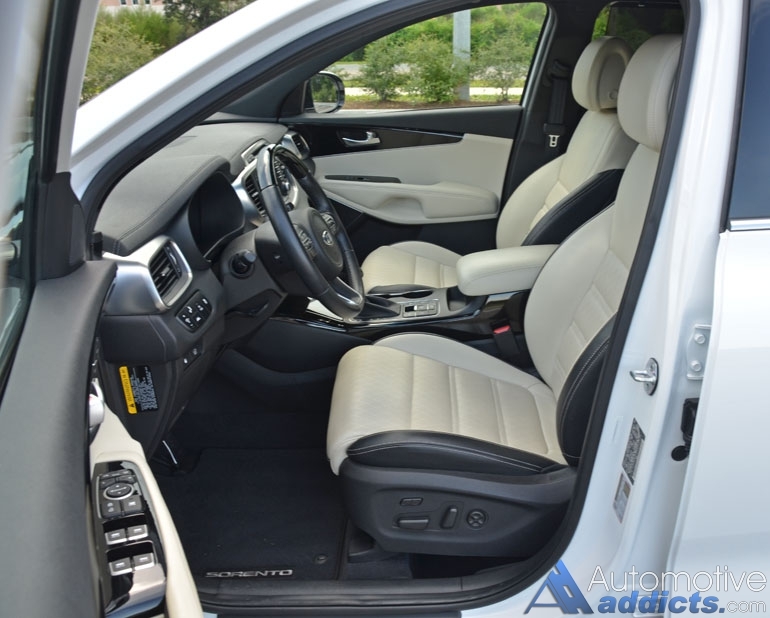 In the 7-passenger facet of the 2016 Kia Sorento (V6 models), the interior appointments are decent but fail to be the inviting environment when it comes to the third row. 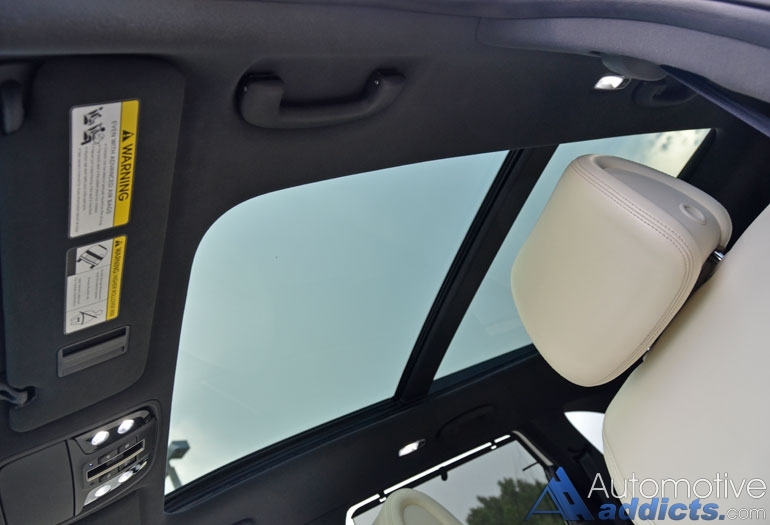 In that, the caveat starts and ends with the short-on-legroom third row where the two occupants have plenty of shoulder and hip room but must be 5 feet tall or shorter to enjoy a drive that uses a full tank of gas. 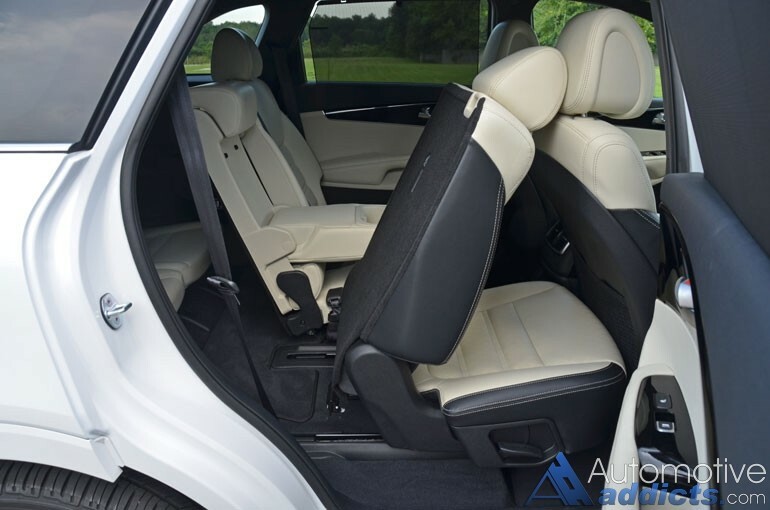 The new 2016 Sorento, just like its outgoing model, can be thought of as a 5-passenger crossover that happens to have the availability of two additional seats in the third row. 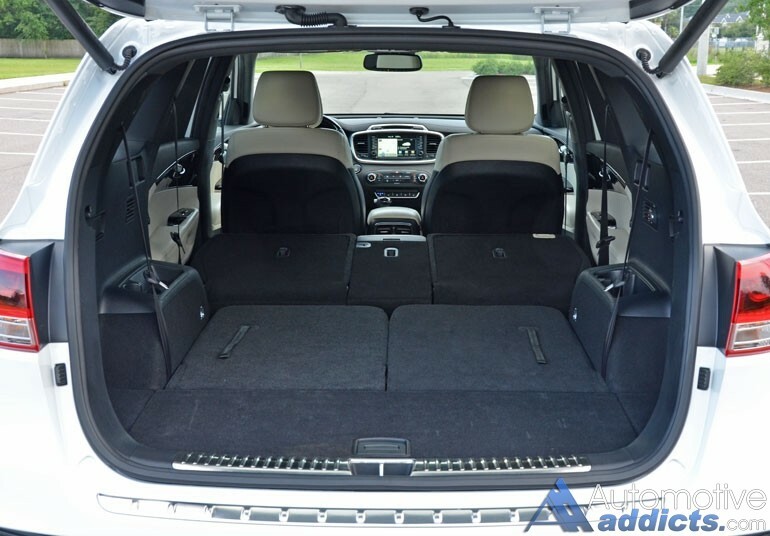 The literal 5 passenger plus-two shortcoming is not to say Kia hasn’t done their homework when it comes to the cabin in offering a three-row setup for the SXL AWD V6 trim. 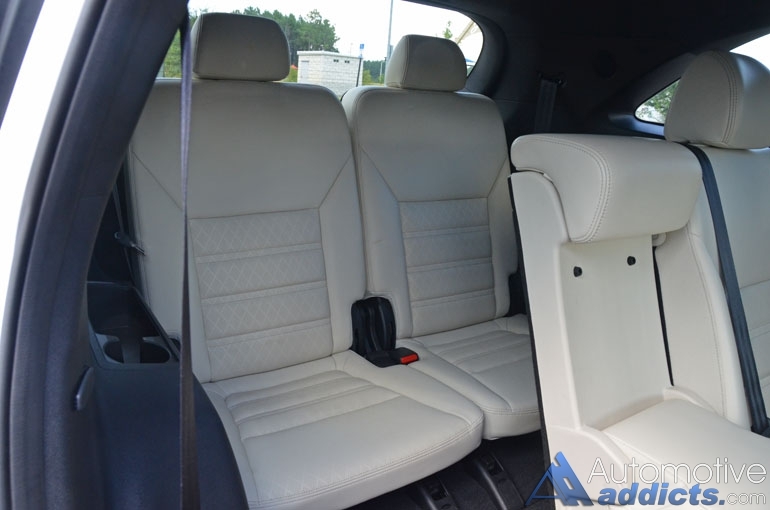 After all, the interior is rather plush with plentiful soft-touch surfaces, nicely contrasted perforated leather seating surfaces, and several luxury-like amenities followed up by subtle piano black and aluminum-colored plastic trim pieces. 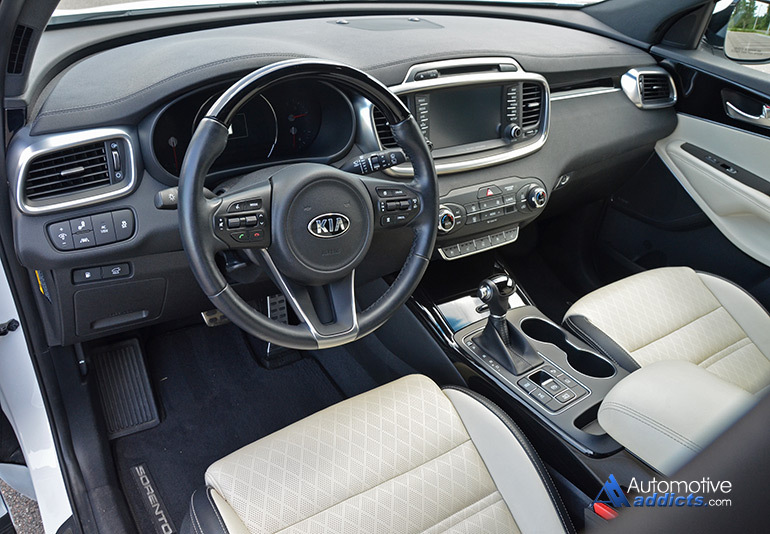 In all, the interior exudes a nice taste of luxury in the top-level Sorento SXL AWD trim. 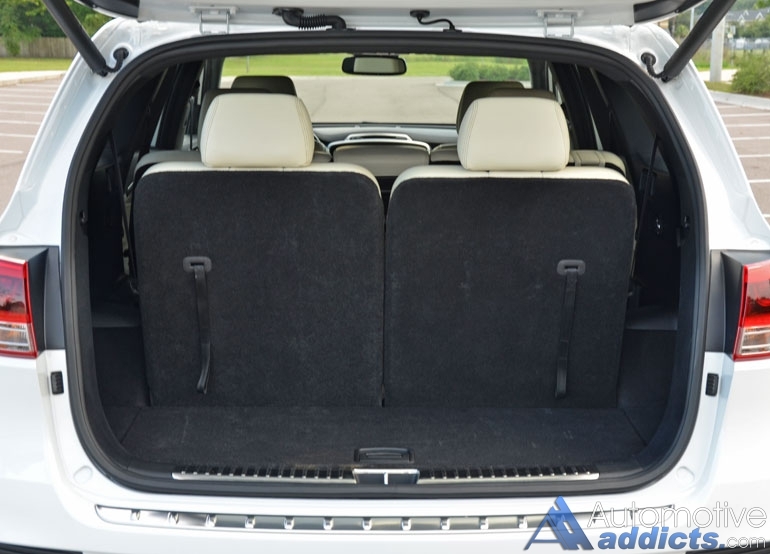 The front seats are bolstered just enough to conform to the Sorento SXL AWD’s lateral handling abilities, while the second row seats provide a lot of adjustability and configuration through a 60/40 split folding setup. 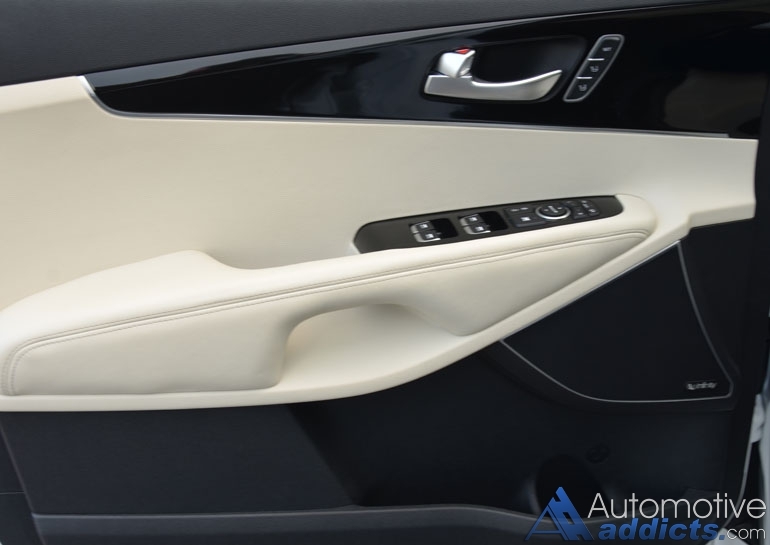 The quick access of the passenger side second row seat sliding and folding forward provides a sliver of space to access the 3rd row – rather a challenge for larger adults to access through the small opening the sliding seat provides. 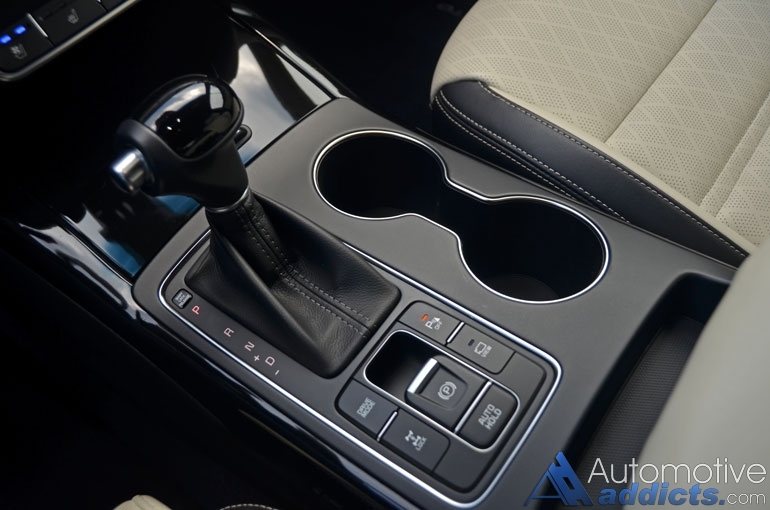 Many of the controls throughout the Sorento’s cabin are easy to reach and straight forward in their usability. The dual climate control up front and rear climate settings all form to keep a comfortable environment for all passengers. The heated steering wheel, heated and ventilated front seats, and heated 2nd row seats are all nice additions to hint a luxury feel. Loaded up with the SXL Technology Package, the use of the full-range adaptive cruise control, braking hold feature, lane departure warning, blind spot notification, forward collision warning and 360-degree surround view monitor with cross path detection bring about a desirable tech and active safety sense of the Kia Sorento. 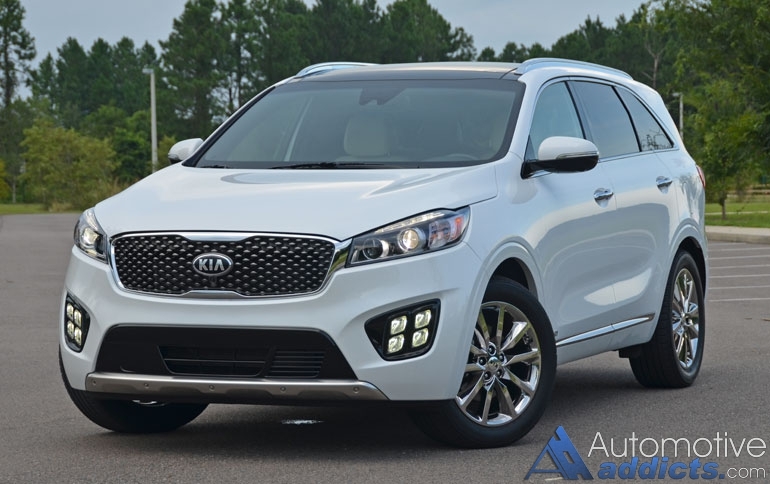 The 2016 Kia Sorento is yet another pacesetter for the crossover utility vehicle segment. In that, the Sorento joins many of its competitors to provide a viable option to the minivan. Still, it is prudent to mention that the third row seating is more of a last-minute convenience than something that is to be used on a daily basis for anyone larger than elementary school-aged kids. 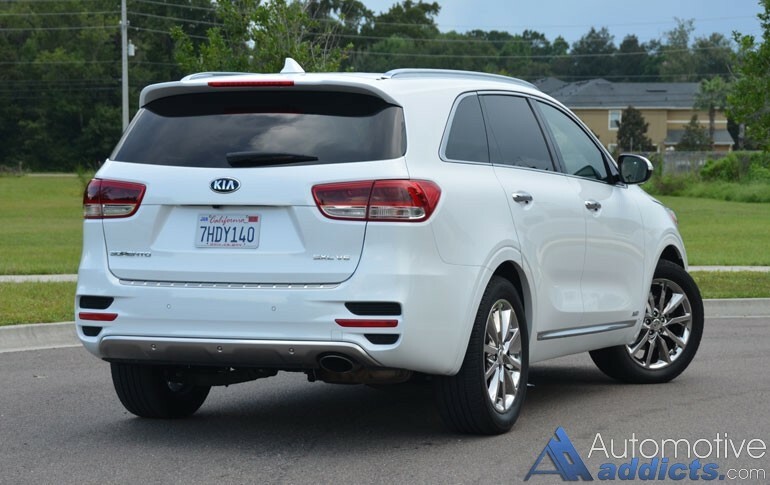 However, the 2016 Kia Sorento SXL AWD may suffice for those who have 3 or more kids in the interim. 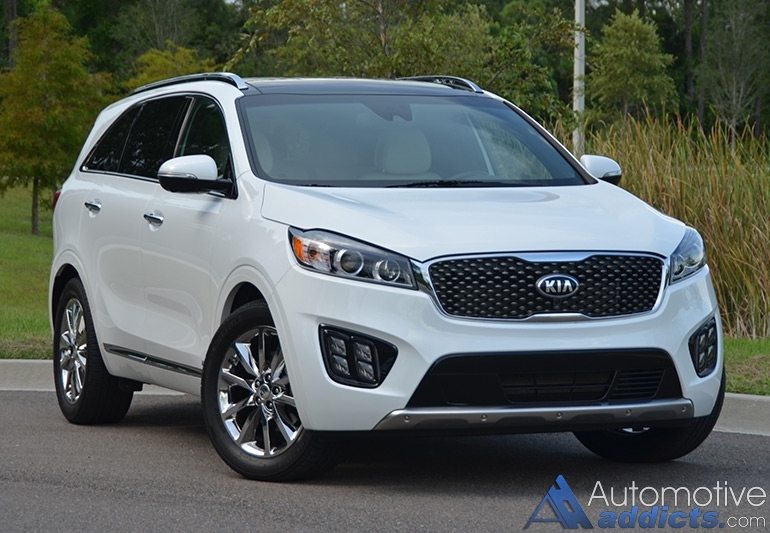 The new 2016 Kia Sorento starts at an astonishingly reasonable $24,900 for the base L 5-passenger 2.4-liter trim and $31,100 for the mid-level EX trim. Climbing to the SX V6 7-passenger trim will start at $38,199 and then moving all the way to an as-tested ($43,100 base SXL V6) $46,695 for my loaded up top-trim Sorento SXL AWD review vehicle. 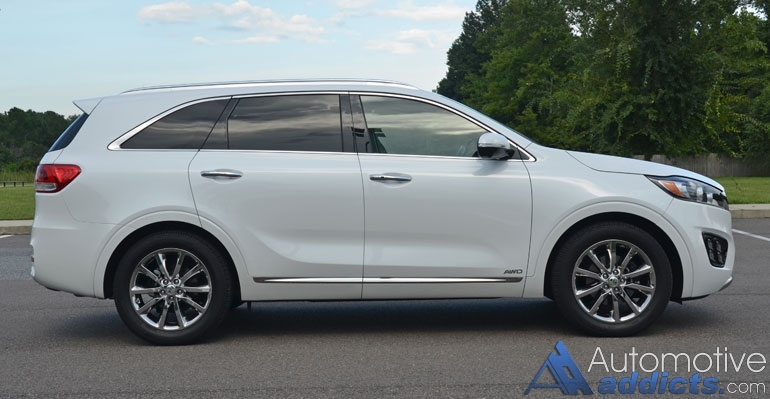 You have to agree, Kia makes for a nice value proposition when all things are considered in the all-new Sorento, including the remarkable 10-year/100K mile powertrain and 5-year/60K mile basic vehicle warranty, several available luxury features, versatile seating in the three-row trims (SX V6 and SXL V6), and a compliant and light-off-road capable V6-powered drivetrain. Cargo volume: all-rows down/3rd row down/behind 3rd. row-73.0/38.0/11.3 cu.ft.